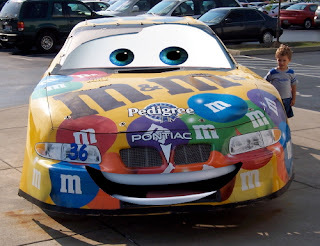 Judd Solutions: The M&M car in an upcoming Disney Cars movie? The M&M car in an upcoming Disney Cars movie? Curious what the M&M car might look like in an upcoming Disney Cars sequel? I think he would make a nice addition to the already popular cast.